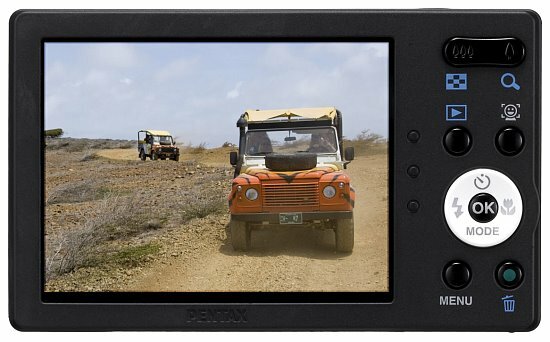 The Pentax RS1500 is a stylish and fun digital camera that boast typical specifications for a sub $150 digicam. It can produce nice 14-megapixel photos, boasts speedy shooting performance, and offers the most unique customization system seen to date (as of 05/2011). Read more in our Full Conclusion. 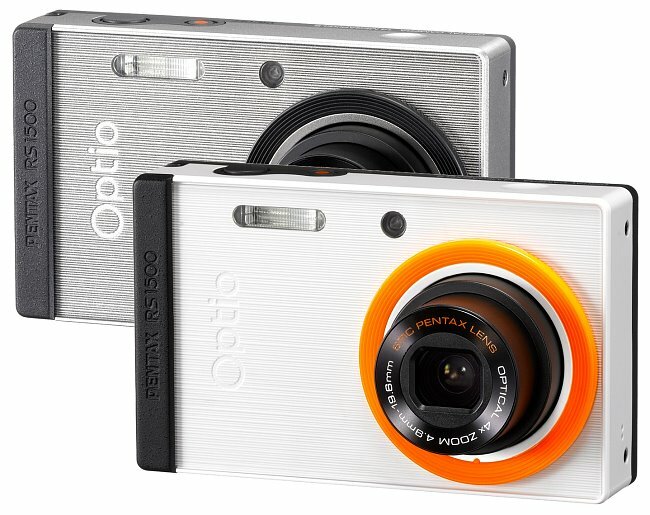 Pentax has released the second generation of their customizable RS-series of fashion savvy digicams, with the Optio RS1500. This model replaces the RS1000 from last year, carrying over several of the same key features. Pentax has incorporated an easier, and quicker way to change the "Skin" of the front of the camera, along with the addition of colored lens bezels that can be swapped in place of the standard black one. This is an affordable camera aimed at the younger generations, or anyone who's artistic or fashion oriented. With a wide variety of included "Skin" choices, you can easily match the RS1500 to your daily attire. They even offer way to create custom skins that can be downloaded from the Pentax Website, and you can also upload your own artwork. Once you get past this camera's style, it's a pretty standard 14-megapixel digital camera, with a 4x optical zoom lens, 720p HD video recording, intelligent Auto Picture mode, and a 3.0-inch LCD screen. The Pentax Optio RS1500 is available now with a MSRP of $149.95 US. You can choose a White or Silver base color, and Pentax includes several skins to get you started; with custom skins available with the Pentax Personal Skin Designer.